It would be hard to counter the statement that John Marrino is responsible for kick-starting the now-booming craft beer scene in Charlotte. Nine years ago, when original '90s breweries like Johnson Beer Co. and Dilworth Brewery were but fleeting memories, Marrino looked around and realized that Charlotte was severely lacking in craft beer establishments. That's when he opened Olde Mecklenburg Brewery. Just less than a decade later, Charlotte easily competes with Asheville, long known as the state's craft beer hub. OMB had rapid success. Before the company reached six years old, it built a larger facility next door, and it plans more growth, including a second brewery in Cornelius by 2020. It is the definition of the American dream. But that dream, for the time being, has been deferred. OMB and NoDa Brewing Company have both sold nearly 25,000 barrels of beer each in past years, and they have the demand to go beyond that, but neither of the microbreweries want to bring in a distributor, something they'd be forced by law to do if they wanted to continue to grow. In North Carolina, once a brewery hits the self-distribution cap at 25,000 barrels a year, it must hire a distributor and enter into a contract that can be very difficult to get out of. Craft Freedom, a coalition Marrino formed with Todd Ford of NoDa Brewing, sued the state for the "unconstitutional" laws they say have stunted their businesses' growth. The hearing before Superior Court Judge Allen Baddour was held last month, almost a year after they filed the original lawsuit on May 15, 2017. Now, the brewers await the decision that will determine the future of their businesses. The complaint calls the distribution cap and franchise law "the opposite of the American dream. "They punish small business owners for their hard work by stripping them of their businesses when they achieve 'too much success,' forcing them to hand over their businesses to private parties who reap the profits," the complaint reads. And who stands against it? For one, members of the N.C. Beer & Wine Wholesalers Association, an organization that represents distribution companies, have been outspoken in their opposition to the Craft Freedom initiative. "North Carolina courts have repeatedly held that current laws governing the industry are unquestionably legitimate and constitutional," said Tim Kent, NBWWA's executive director. Kent's organization has been known to contribute financially to political campaigns throughout the state, which leads the breweries to believe backdoor politics are taking place. "This is an economic protectionism scheme designed to enrich one private party at the expense of another; a private party that contributes millions of dollars in campaign contributions to this General Assembly," Craft Freedom's attorney, Andrew Erteschik, told the Associated Press in March. Erteschik turned down requests for an interview for this story, as the case is ongoing. However, some local brewery owners not involved directly with the lawsuit gave us their thoughts about the legal dispute. Chris Harker, owner of Triple C Brewing, works with a distributor by choice, but added he still disagrees with the current laws. "I think it should always be our choice to do that," he said. "I think it's just common sense. There's a lot of alcohol laws that are outdated, hanging around since the Prohibition, and this is a key example. It feels like there's a penalty here for being successful." Phil Buchy, co-owner of Legion Brewing, said he hasn't come near the cap yet, but predicts it could be a likely he'll hit it in the next three years. "It would be nice if [laws] changed before we got to that point, because we would be faced with some difficult decisions," he said. Buchy has yet to look into his limited options in case laws stay the same. He assumes Craft Freedom will be success because, "it just makes sense. "The laws are old and archaic and they need to be updated, so I think it's going to change before I get [to the cap]," he said. Chris Goulet, owner of Birdsong Brewing, also supports Craft Freedom. He explained that the cap rules were originally lobbied by distributors who felt threatened by the mega-breweries that dominated the market before small breweries like OBM and NoDa popped up. Back in the 1980s and '90s, Goulet said, distribution companies were mostly small family-run businesses. Over time, they consolidated to become the major distributors that are in North Carolina today. "It's kind of ironic, because now they're the group keeping the rule in place, but it actually only impacts small craft breweries started in North Carolina," Goulet said. When breweries sign a contract with an outside distributor, that distributor gains ownership of the brand and takes control of pricing, sales, delivery and quality control during transportation. The breweries can only be released from the agreement under rare circumstances. The purchase of distribution rights is permanent, meaning there is no expiration date at which they are turned back to the brewers. A brewery can always go under the 25,000-barrel limit, then buy back the rights. However, those rights could cost hundreds of thousands of dollars. "Like any business, the plaintiffs are entitled to enjoy the fruits of their own labor," the Craft Freedom complaint reads. "As well as the freedom to choose where, when, to whom and for how much their own product is sold." Craft Freedom didn't anticipate a two-year fight. In fact, the breweries thought they had won last year after they campaigned to the General Assembly. In April 2017, language was included in House Bill 500 that would increase the barrel limit to 200,000. The bill passed, but without that crucial detail. The cap increase was removed last minute after a House ABC Committee meeting. According to an INDY Week review of campaign finance records, the NCBWWA and individual distributors gave a total of $53,000 to 16 House ABC committee members in 2016, a year prior to the vote. "It appears that backroom political pressure is more important than public opinion or fighting for North Carolina small businesses," Craft Freedom wrote on Facebook after getting news of its loss. 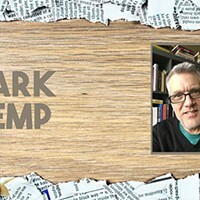 Kent told Creative Loafing that the beer laws don't need revisions because they "promote a healthy, balanced marketplace offering a wide variety of choice to consumers and opportunities for industry participants. 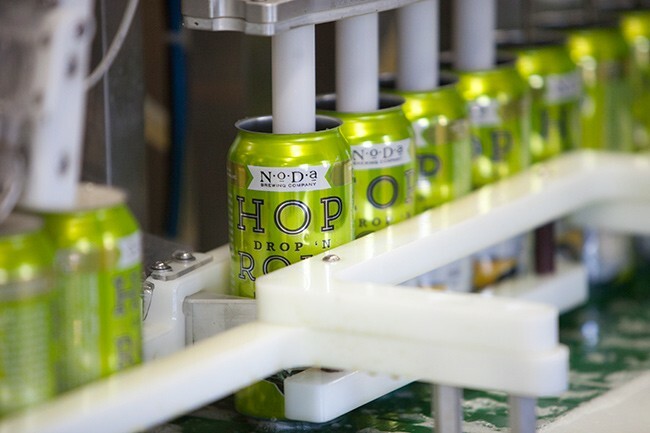 "Craft Freedom seeks to deregulate the beverage alcohol industry for its own benefit at the expense of consumers, competing breweries and other industry participants who do not enjoy the special privileges Craft Freedom seeks," he said. The barrel limit was increased to 25,000 in 2003 before anyone could imagine the craft beer industry would explode the way it did over the past decade. A game-changing piece of legislation signed in 2005, known as "Pop the Cap," is often credited with initiating the craft beer boom. It granted brewers the right to create beers with alcohol content higher than 6 percent, meaning brewers could create new, unique flavors with virtually endless possibilities. 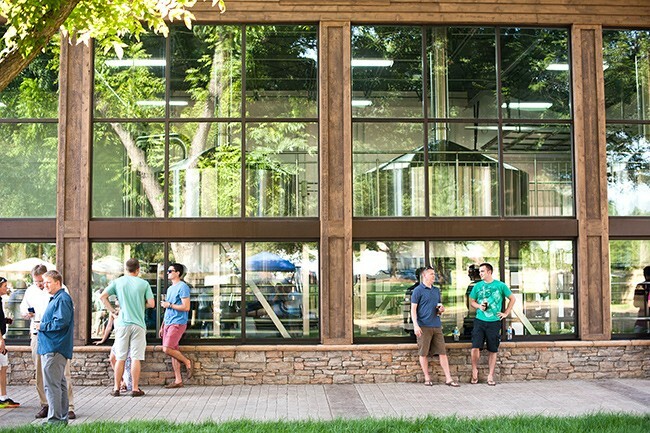 North Carolina currently has over 200 breweries, more than four times the number in 2010. The plaintiffs are arguing the changed landscape calls for updated laws. The outcome of this lawsuit won't just affect the breweries, though. 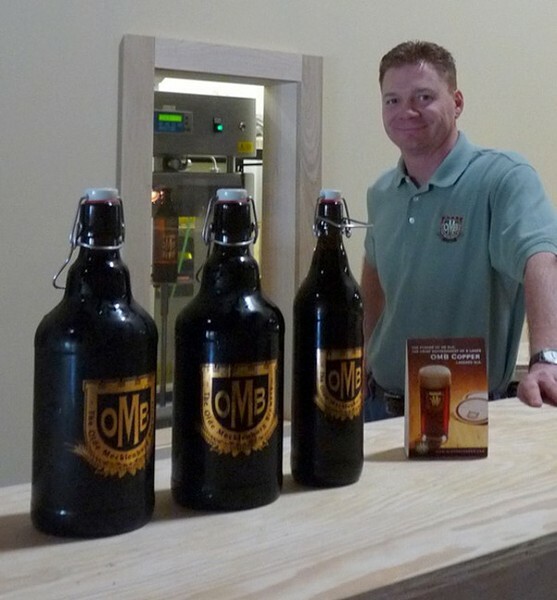 The more breweries grow, the more jobs they create, in turn boosting the economy. According to Charlotte Business Journal, OMB has more than 140 employees. Hiring a distributor also drives up beer prices, since the brewer must pay for the additional service. The distributor puts the beer in their portfolio, which some believe has a negative effect on the brewer's business. "I have 650 restaurants carrying my products, over 200 retail outlets," Marrino told WFAE in March 2017. "Frankly, if I was in a distributor's portfolio with 980 brands, I'd be lucky if I had 100 restaurants carrying my beer." In a deposition, Erteschik asked State ABC Commission Administrator Robert Hamilton, who is responsible for the "day-to-day oversight of beer regulation," how to avoid the two options. Hamilton responded, "They could become a distributor and not be a brewer." "So they could change professions, essentially?" Erteschik asked. "There's a lot of different opportunities," Hamilton said. "People do it all the time." "They could become barbers too, right?" Erteschik chided. When asked again about those options, Hamilton added, "Well, they could go back to school." We don't know if Marrino has plans for school enrollment, but we do know of his plans to build a second brewery, possibly start selling in the Triad again (which he stopped to avoid hitting the cap) and get back to brewing beer rather than fighting for change.